National Vulnerability Database (NVD) -U.S. government repository of vulnerabilities and vulnerability management data. US Computer Emergency Response Team (CERT) Vulnerability Notes Database – The CERT vulnerability analysis project aims at reducing security risks due to software vulnerabilities in both developed and deployed software. Open Source Vulnerability Database – An independent and open source database that is created by and for the security community. Common Weakness Enumeration (CWE) – Provides a common language for describing architectural, design or coding software security weaknesses. Common Vulnerabilities and Exposures (CVE) – A dictionary of publicly known information security vulnerabilities and exposures. It is free for use and international in scope. buffer overflow – is the condition that occurs when data that is being copied into the buffer (contiguous allocated storage space in memory) is more than what the buffer can handle. stack overflow – buffer has been overflowed in the stack space. the data flows from one buffer space into another, causing the return address instruction pointer to be overwritten. heap overflow – a heap overflows does not necessarily overflow but corrupts the heap memory space (buffer), overwriting variables and function pointers on the heap. injection flows – occur when the user supplied data is not validated before being processed by an interpreter. XML injection – software does not properly filter or quote special characters or reserved words that are used in XML, allowing an attacker to modify the syntax, contents or commands before execution. cross-site scripting – A web application is said to be susceptible to XSS vulnerability when the user supplied input is sent back to the browser client without being properly validated and its content escaped. Non-persistent (Reflected) – the user supplied input script that is injected (also referred to as payload) is not stored but merely included in the response from the web server, either in the results of a search or an error message. DOM based – the payload is executed in the victim’sbrowser as a result of DOM environment modifications on the client side. The HTTP response (or the web page) itself is not modified, but weaknesses in the client side allows the code contained in the web page client to be modified, so that the payload can be executed. insecure direct object references – an unauthorized user or process can invoke the internal functionality of the software by manipulating parameters and other object values that directly reference this functionality. Missing software and operating system patches. Installation of software with default accounts and settings. Installation of the administrative console with default configuration settings. Pharming – scamming practice in which malicious code is installed on a system or server which misdirects users to fraudulent web sites without the user’s knowledge or consent. Vishing – made up of two words, “voice” and “phishing” and is the criminal fraudulent activity in which an attacker steals sensitive information using deceptive social engineering techniques on VoIP networks. input validation – use blacklist or whitelist technique. canonicalization (C14N) -process of converting data that has more than one possible representation to conform to a standard canonical form. sanitization -process of converting something that is considered dangerous into its innocuous form. Both inputs and outputs can be sanitized. stripping – removing harmful characters from user supplied input. substitution – replacing user supplied input with safer alternatives. literalization – using properties that render the user supplied input to be treated as a literal form. error handling – error messages must be non-verbose and explicitly specified in the software. Redirect errors and exceptions to a custom and default error handling location. cryptographic agility – ability to manage the specifics of the cryptographic functions that are embedded in code without recompiling, typically through a configuration file. identification symbols that still retain the needed information about the data, without compromising its security. anti-tampering – techniques assure integrity assurance and protection against unauthorized and malicious alterations of the software code and/or the data. I must admit that the title is a little bit catchy; a better title would have been “5 software security books that every developer should be aware of“. Depending on your interest you might want to read entirely these books or you could just know that they exists. There must be tons of software security books on the market but this is my short list of books about software security that I think that each developer that is interested in software security should be aware of. 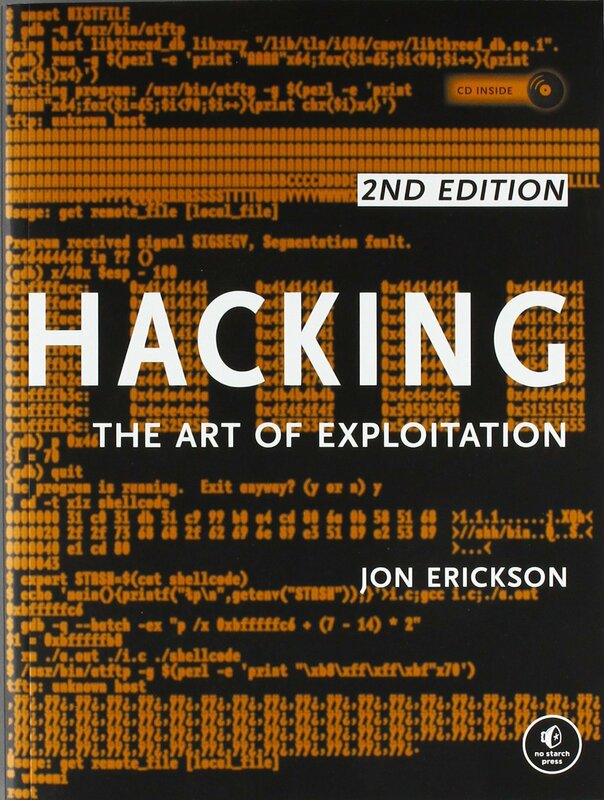 Hacking – the art of exploitation This book explains the basics of different hacking techniques, especially the non-web hacking techniques: how to find vulnerabilities (and defend against) like buffer overflow or stack-based buffer overflow , how to write shellcodes, some basic concepts on cryptography and attacks linked to the cryptography like the man-in-the-middle attack of an SSL connection. The author tried to make the text easy for non-technical peoples but some programming experience is required (ideally C/C++) in order to get the best of this book. You can see my full review of the book here. 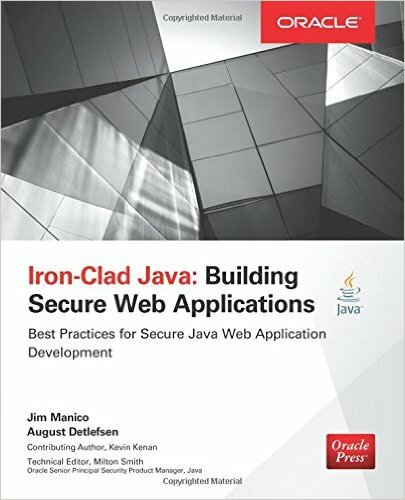 Iron-Clad Java: Building secure web applications This book presents the hacking techniques and the countermeasures for the web applications; you can see this books as complementary of the previous one; the first one contains the non-web hacking techniques, this one contains (only) web hacking techniques; XSS, CSRF, how to protect data at rest, SQL injection and other types of injections attacks. In order to get the most of the book some Java knowledge is required. You can see my full review of the book here. Software Security-Building security in This books explains how to introduce the security into the SDLC; how to introduce abuse cases and security requirements in the requirements phase, how to introduce risk analysis (also known as Threat Modeling) in the design phase and software qualification phase. 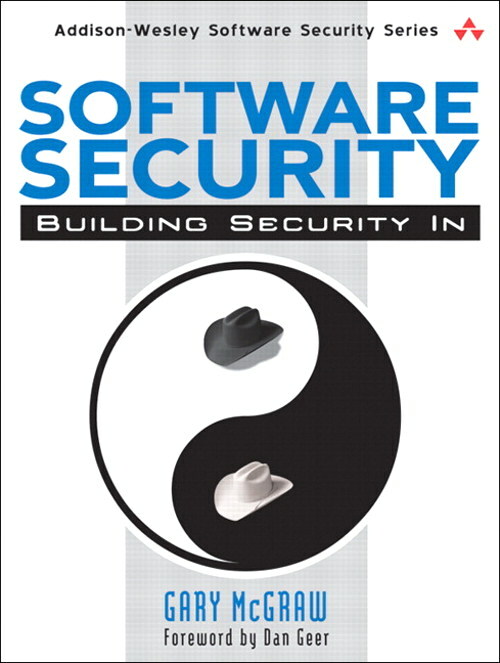 I really think that each software developer should at least read the first chapter of the book where the authors explains why the old way of securing application (seeing the software applications as “black boxes” than can be protected using firewalls and IDS/IPS) it cannot work anymore in the today software landscape. You can see my full review of the book here: Part 1, Part 2 and Part 3. 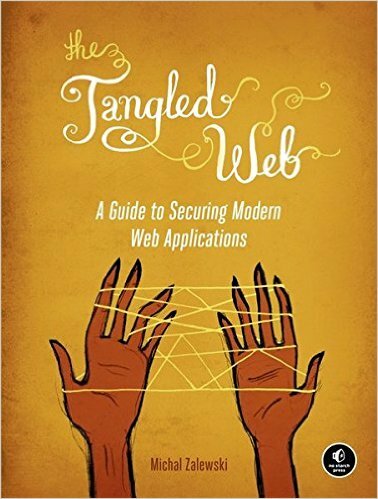 The Tangled Web: A Guide to Securing Modern Web Applications This is another technical book about security on which you will not see a single line of code (the Software Security-Building security in is another one) but it highly instructive especially if you are a web developer. The book presents all the “bricks” of the today Internet: HTTP, WWW, HTML, Cookies, Scripting languages, how these bricks are implemented in different browsers and especially how the browsers are implementing the security mechanism against rogue applications. You can see my full review of the book here. Threat modeling – designing for security Threat modeling techniques (also known as Architectural Risk Analysis) were around for some time but what it has changed in the last years is the accessibility of these technique for the software developers. This book is one of the reasons for which the threat modeling is accessible to the developers. The book is very dense but it suppose that you have no knowledge about the subject. If you are interested in the threat modeling topic you can check this ticket: threat modeling for mere mortals.